Edible Fish Craft for Kids That's Perfect for Snacktime! 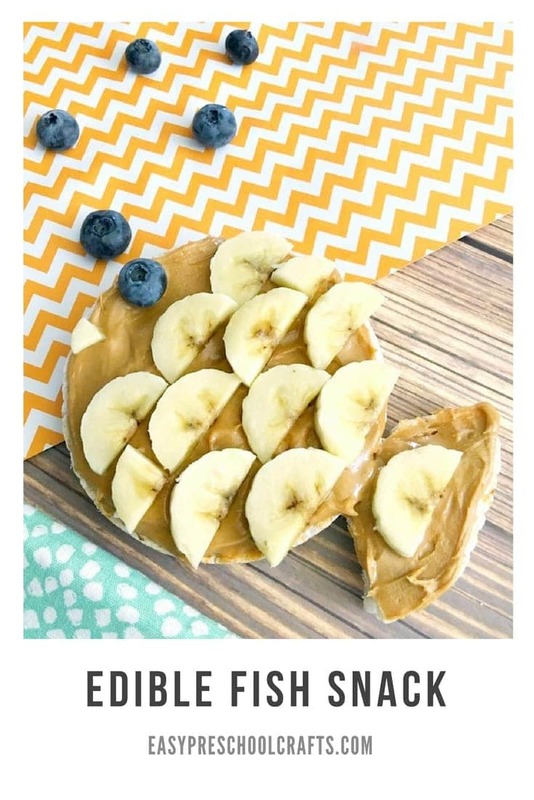 Home » Edible Fish Craft for Kids That’s Perfect for Snacktime! 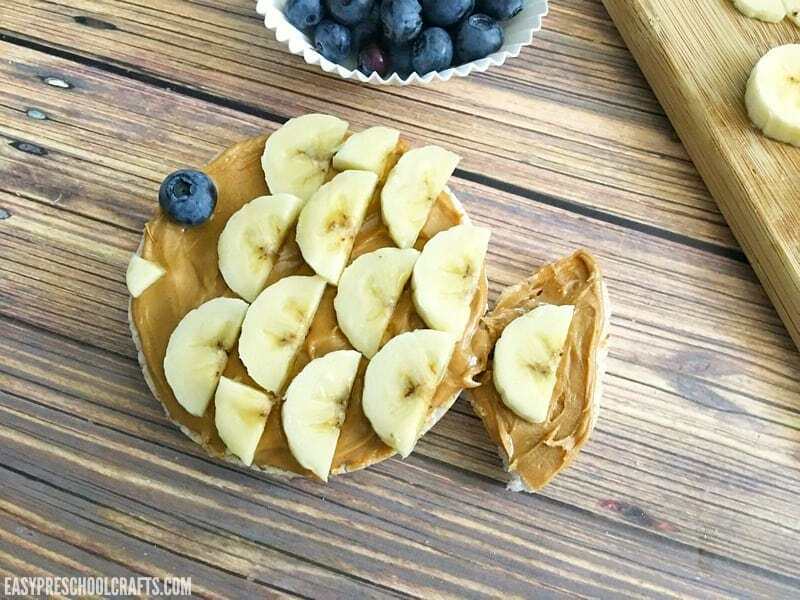 Edible Fish Craft for Kids That’s Perfect for Snacktime! One of the themes that young kids love is fish. Well, they seem to love the ocean and anything related actually. We have a lot of fish crafts for kids on our site but you can’t eat any of them! So we thought this edible fish craft might be a fun change of pace! Like all of our crafts, this Edible Fish Craft is still very easy to make. You can make it for the kids or you can get them in the kitchen with you and let them get involved! 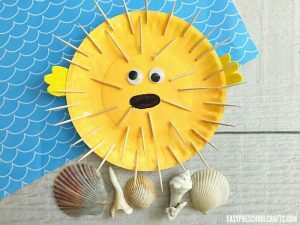 When it comes to fish craft ideas for the younger kids, we’re quick to jump on paper plates as a great material. 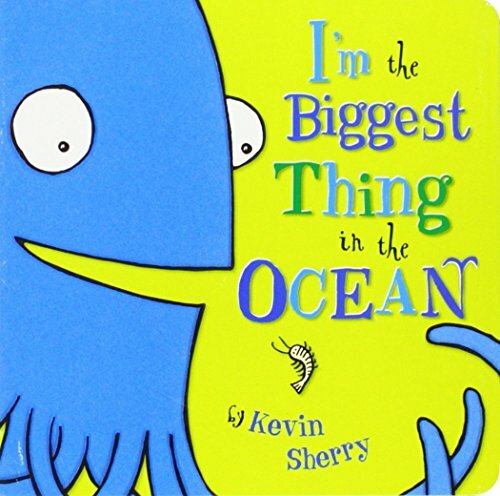 There are so many things you can make that are ocean-related with a simple paper plate! 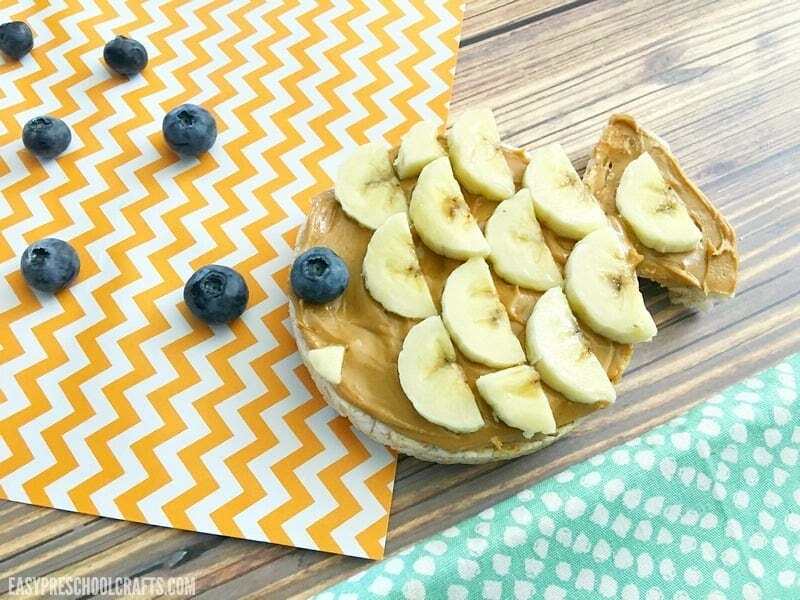 But you can also use paper plates to enjoy a snack! 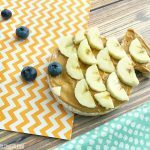 If you spend a lot of time with preschoolers or toddlers, you know that snack time is a pretty important time of day! It’s also a great opportunity to incorporate any theme that you might be having fun with. 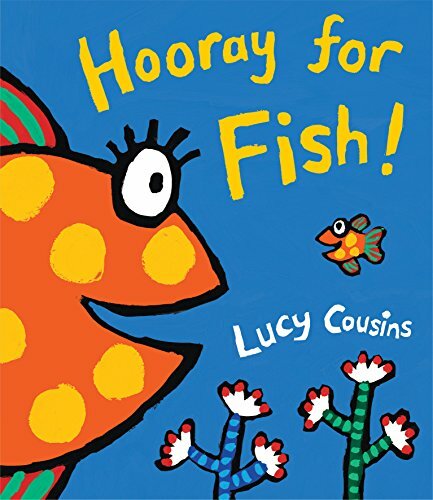 If you’re reading fish books and making fish crafts, why not enjoy a fish snack? To make this edible fish craft, you need a pretty basic list of groceries. 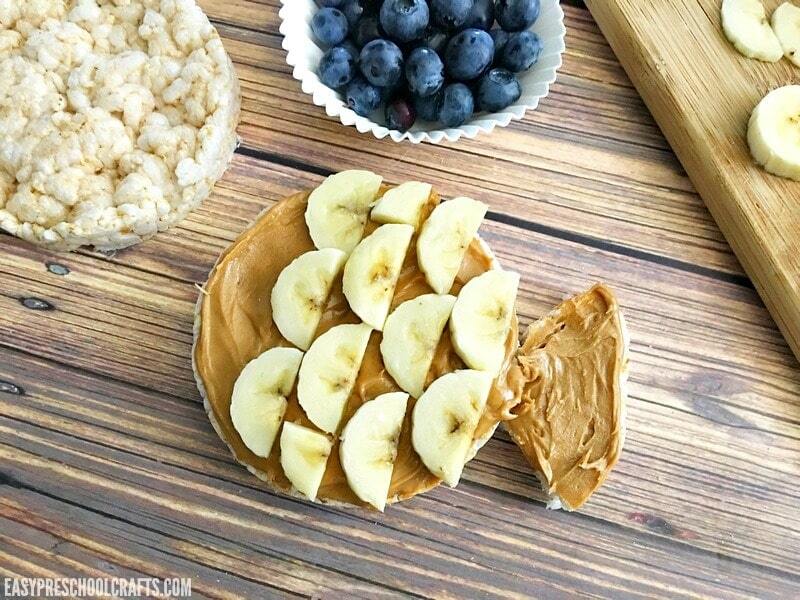 We used rice cakes, peanut butter (you can use any kind of nut butter or substitute), bananas, and some fresh blueberries. If you want to add a bit of an extra treat, you can substitute the berries for candy. Chocolate candies like M&Ms are best but if your kid loves Skittles, those work too! 2. 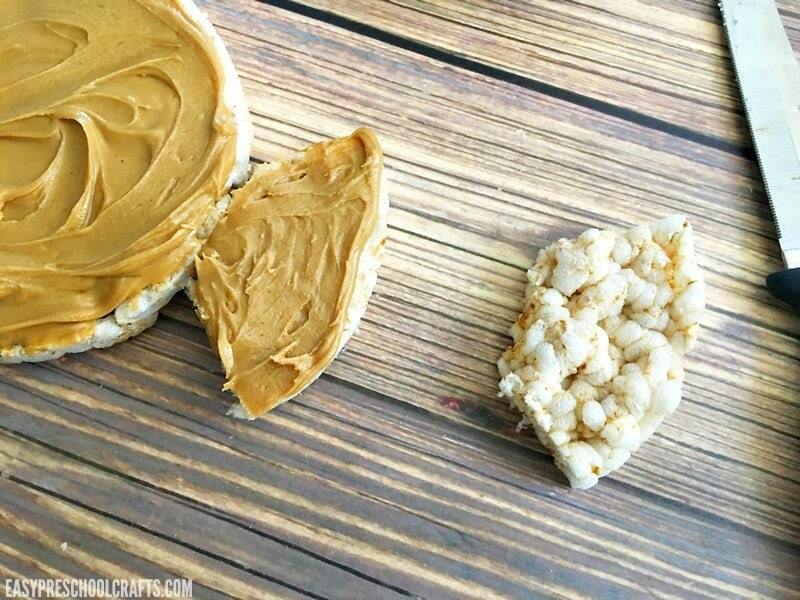 Frost a whole rice cake and one of the triangle slices with peanut butter. 3. Use a small amount of peanut butter to stick the triangle piece to one side of the whole rice cake. 4. Repeat with remaining three rice cakes. 5. 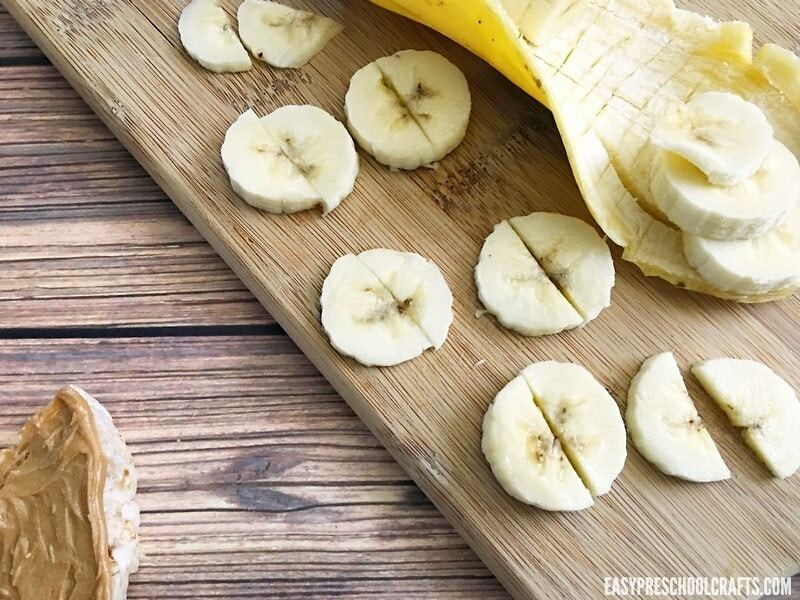 Cut the banana into slices, then cut the slices in half so you have half circle shapes. 6. Arrange the banana slices onto the rice cake with the flat side facing the tail to look like scales. 7. 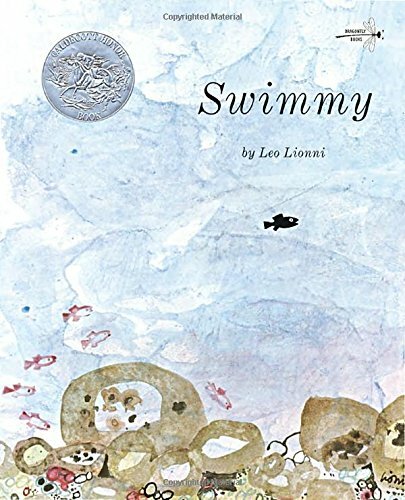 Place a blueberry on the front of the “fish” on the side opposite of the tail. 8. 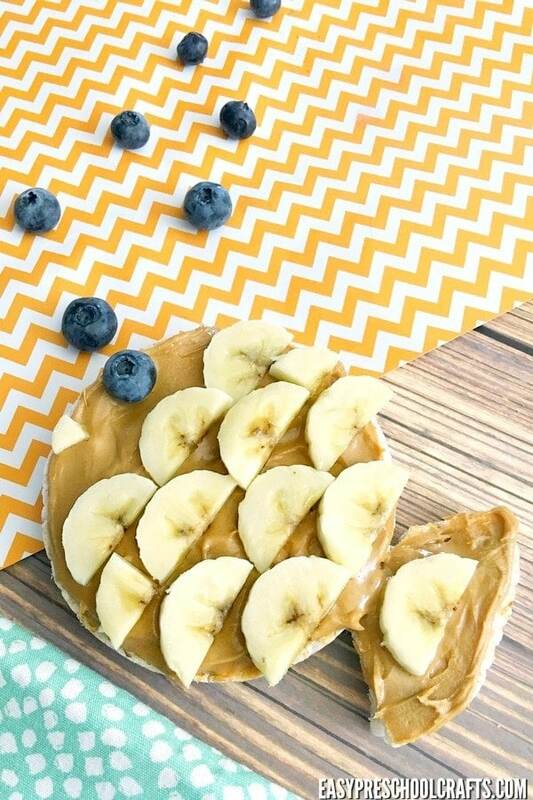 Then cut a tiny triangle of banana from a leftover slice and place below the blueberry for the mouth. Serve and enjoy with your kids! You can see that this recipe is easy enough to let the kids help make with you. That’s why we call it an edible fish craft! 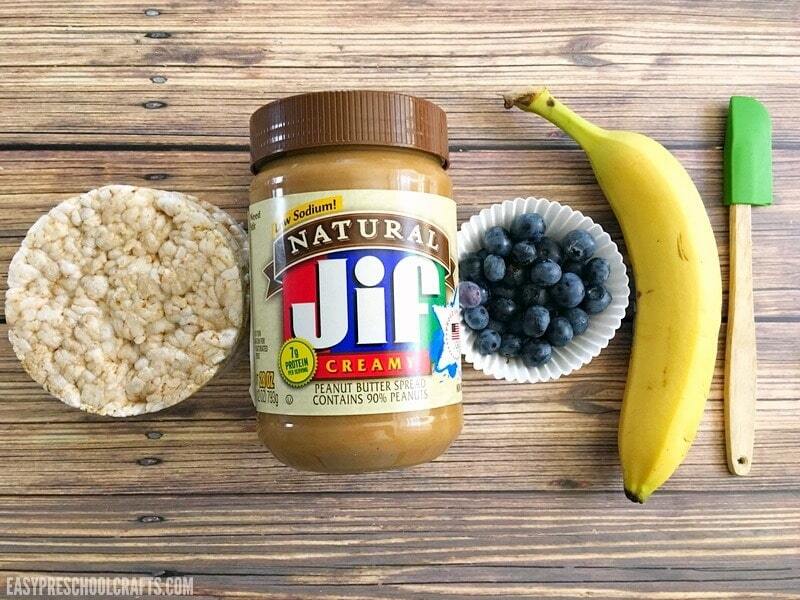 This healthy rice cake snack doubles as a fish craft to make with your kids. Cut one of the rice cakes into quarters, then cut a small piece of the pointy end off (so it will fit onto the whole rice cake better). Frost a whole rice cake and one of the triangle slices with peanut butter. Use a small amount of peanut butter to stick the triangle piece to one side of the whole rice cake. Repeat with remaining three rice cakes. Cut the banana into slices, then cut the slices in half so you have half circle shapes. Arrange the banana slices onto the rice cake with the flat side facing the tail to look like scales. Place a blueberry on the front of the “fish” on the side opposite of the tail. Then cut a tiny triangle of banana from a leftover slice and place below the blueberry for the mouth. 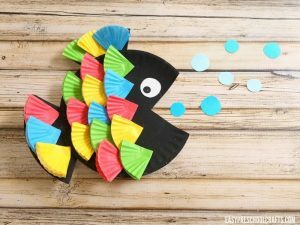 If you’re looking for more fish craft ideas, some of our favorites include our Rainbow Fish Craft and our Paper Plate Puffer Fish! 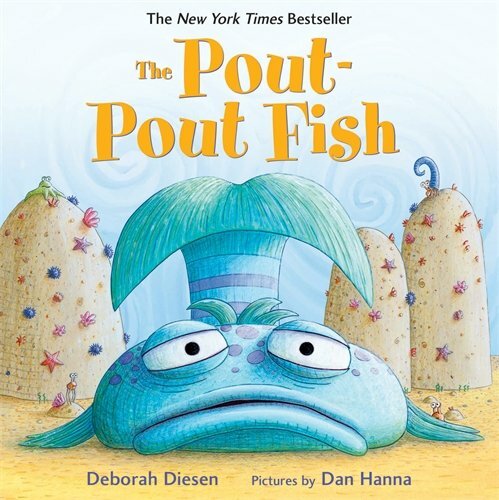 Then you can also tie making your edible fish in with a great book about fish or the ocean. Making crafts related to books (and sometimes even favorite movies or television shows) is one of our favorite things to do with young kids! 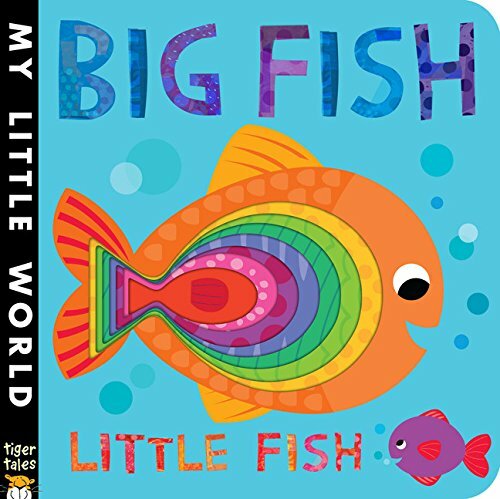 Grab a copy of your favorite book, stop in at the grocery store for some ingredients, and have a fun fish-themed afternoon with your preschooler! Sign up to get updates on the latest crafts as well as freebies! EasyPreschoolCrafts.com is a participant in the Amazon Services LLC Associates Program, an affiliate advertising program designed to provide a means for sites to earn advertising fees by advertising and linking to Amazon.com. All thoughts and opinions are 100% our own.